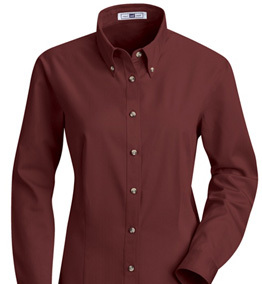 Our unique, consultative approach makes workwear procurement easy and efficient. See how it works. The Account Management Team sets ServiceWear Apparel apart from all other workwear companies you or your departments have ever worked with. This team develops a close working relationship with each department representative. They work together determining which products to use and ensure that the department has all of the support to improve service and reduce costs. Their goals are customer satisfaction and simplicity. Providing your agency with contract pricing for garments, embroidery, etc. After your account is open, the Account Management Team provides all account details to the Customer Service Team, and they assume responsibility for your day-to-day order processing. The Account Manager is always available to your departments if they need to make a change in their program. Together, the Account Management and Customer Service Teams work very hard to exceed your expectations. 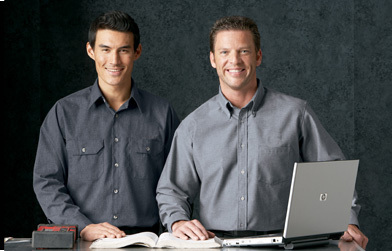 Ordering uniforms and work apparel from ServiceWear Apparel is easy. We offer four ways to order, and customer service representatives are standing by to answer your questions. Phone: Customer service representatives are available Monday – Friday, from 7:00 a.m. to 5:00 p.m. (CST) at 1-800-578-9023. Online: Login to our online catalog, available 24/7, to place orders. Within two hours of an order being entered, an Order Acknowledgement is emailed to the designated contact at your agency. The Order Acknowledgement shows exactly what styles, sizes and services were ordered. The department will see what is available for immediate shipment and will have estimated shipping dates. We employ a secure server that encrypts all personal information, ensuring that credit card information remains private and protected. Find out more about how ServiceWear Apparel can help your agency or department save time and money on workwear procurement. Click here to complete our online form now.